Sophisticated networking and communications capabilities that were previously the sole domain of mainframes, PCs, and workstations are now becoming mandatory in the realm of smaller embedded microcontrollers. However, documentation, standards, and design information is scattered among many sources and is difficult to find. In this practical book, popular columnist and embedded designer Fred Eady is your guide and advisor. 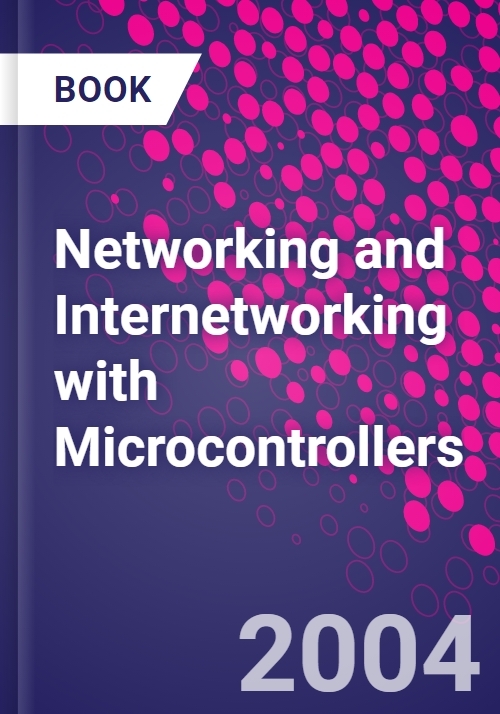 He pulls together all the necessary design background and details and shows you how to use today's affordable microcontrollers for powerful communications and networking applications such as local area networks and embedded internet. Using working code examples and schematics, Eady steers you through the basics using two popular microcontroller families, PIC and Atmel. Sample source code is provided and thoroughly explained for all the application examples. The accompanying CD-ROM contains the example code as well as a searchable ebook version of the text, to help you get up to speed quickly. You could spend days or even weeks pulling together all the information that Eady has assembled in this one indispensable reference. As an engineering consultant, Fred Eady has implemented communications networks for the space program and designed hardware and firmware for the medical, retail and public utility industries. He currently writes a monthly embedded design column for a popular electronics enthusiast magazine. Fred also composes monthly articles for a popular robotics magazine. Fred has been dabbling in electronics for over 30 years. His embedded design expertise spans the spectrum and includes Intel's 8748 and 8051 microcontrollers, the entire Microchip PIC microcontroller family and the Atmel AVR microcontrollers. Fred recently retired from his consulting work and is focused on writing magazine columns and embedded design books.